Think about all the years we spent avoiding anything that had to do with oil getting anywhere near our skin. Oil was the devil in the land of skincare. Oil caused clogged pores, breakouts, it got into your hair and made it look greasy. The message was – stay away from oil at all costs! With the exception of Erno Lazlo who did stand by his oil products for decades. 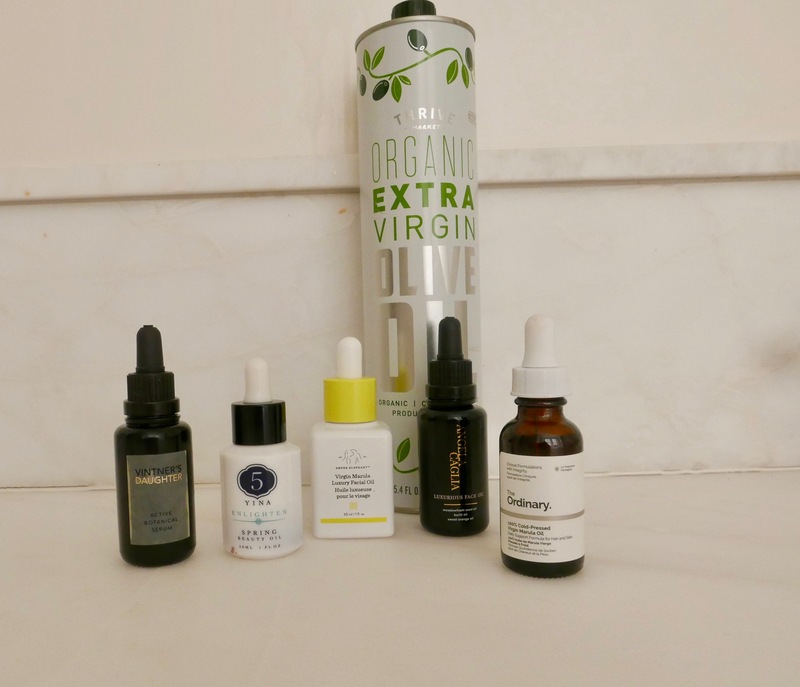 But the last several years have brought with them a plethora of new oil products which are suddenly the elixir for whatever your skin problems may be. Oils range in price from six dollars to one that costs eighteen hundred dollars an ounce. And if you really want to be economical you can just wander into your kitchen and find something. Many people suggest just rubbing pure coconut oil on your face. I haven’t tried it as it is something that has never really appealed to me. In her new book Loving Your Age, Barbara Hannah Grufferman suggests taking olive oil and putting it in a plastic bottle and using that on your face. Allure magazine and other beauty sites back this theory up. Despite the fact I don’t want to rub olive oil on my face while I’m making the evening salad dressing, I have fallen in love with a variety of oils on the market and cannot imagine a skin routine without them. When it comes to mature skin adding an oil to your daily regime is great for a variety of reasons. If you apply it before your creams and potions it somehow helps them do their job better and opens the gates to your skin for better absorption of all other ingredients. And then to further confuse things if you apply it at the end of your routine it aids in helping calm down skin that can often get irritated by strong products that often cause redness and irritation before they start doing their job. So oils work as an anti-inflammatory as well as an anti-oxidant. That fear of looking greasy and shiny is not a problem with new oils. They just disappear into your skin leaving it smooth and clear looking. 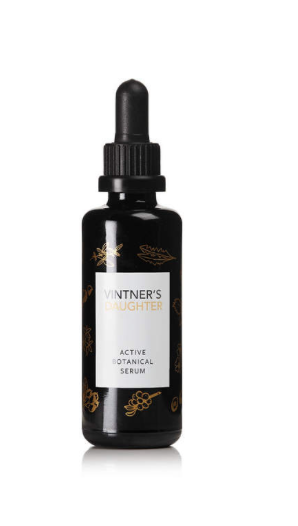 Some oils like the miraculous Vintner’s Daughter even helps with breakouts at any age. Who would have thunk it? Kind of makes you wish we had been using oils all along. I suggest playing around with oil. Try it before and after your creams and even on its own to see what works best for you. I promise your skin will look much better for it! 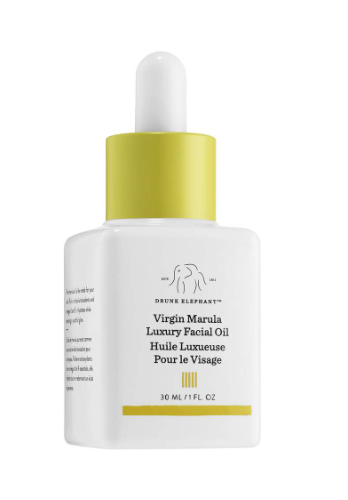 Drunk Elephant Virgin Marula Luxury Facial Oil. Not my favorite. It does not absorb as quickly as some of the others. Though for the price point of $40.00 it is a good buy. 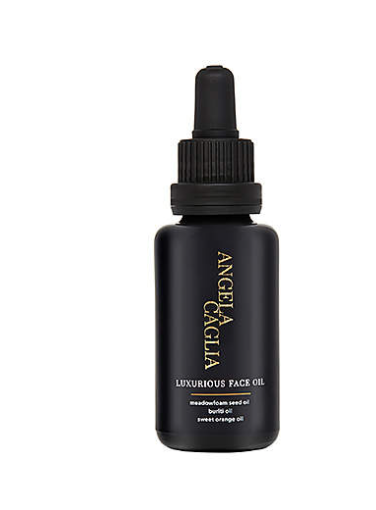 Angela Caglia is a terrific line of products. I haven’t found one I don’t like. Her Luxurious Facial Oil is one of my go- to’s. It is very calming and hydrating and it smells divine. Vintner’s Daughter – the one everyone seems to be addicted to. The gold standard of the moment. Designed in a larger bottle exclusively for Net a Porter. This is an exclusive and will likely sell out. $305.00 it is pricey but you get 50ml as opposed to 30ml in the regular bottle. The regular size comes in at $185.00 for 30ml. 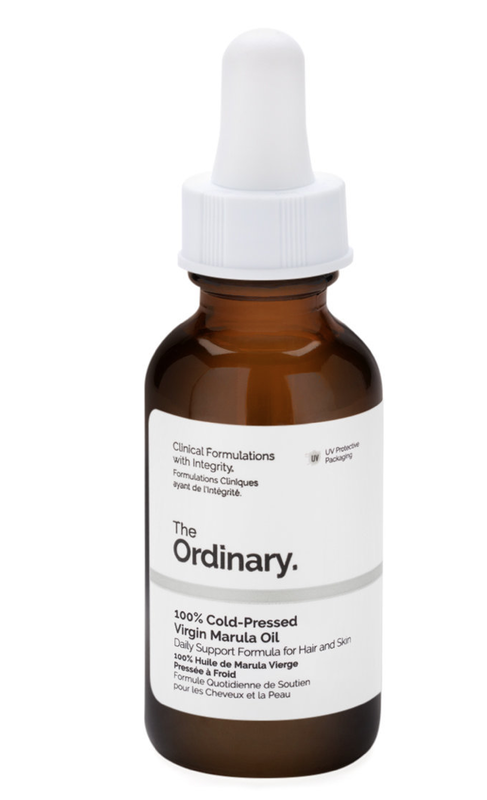 The Ordinary, the company that undercuts all others in price and makes a decent product. At $9.90 for a decent size bottle, I did not see much of a difference between this and The Drunk Elephant. If you want to start out using an oil and you don’t want to break the bank, Go with this. 5Yina is a magical natural facial line. It is based on Chinese Medicine and the balance and harmony of the seasons. Their Spring Oil is one I use almost every day. It is light, smells heavenly and works!